The #16 seed Leopards face #1 seed Villanova at Pittsburgh’s Consol Energy Center 6:50 p.m. tonight during the second round of the NCAA Men’s Basketball Tournament. The game will be shown on TBS with coverage starting at 6:45 p.m. A live feed and radio coverage of the game will be available online. 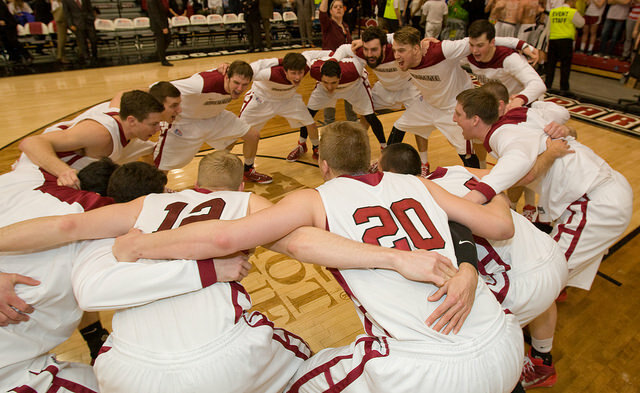 Follow the conversation on Facebook and Twitter at #RollPards. Gilbert’s will host a viewing party in the back room beginning at 6:30 p.m., featuring complimentary wings, soft pretzels, and other snacks. There will also be telecast parties hosted by alumni at locations across the country.